As the season now enters the final third, the league table is beginning to take shape. With Manchester City edging closer to their fourth Premier League title, it is the race for the Top 4 which is providing all the entertainment. 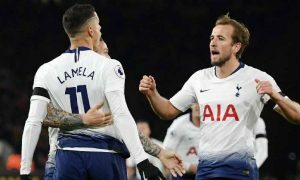 The usual ‘big four’ have very much been disbanded and it is up to Tottenham and Chelsea to secure that fourth spot to clinch the very last Champions League spot. For the Blues, finishing in the top four will be a relief if anything as Antonio Conte has been under-fire ever since the first day of the season. Chelsea have bene nothing like their usual selves and much has been said about the lack of replacement up top and with summer signings such as Alvaro Morata falling short of what was required. Furthermore, a cagey defence doesn’t make for good viewing and Conte definitely needs this spot in order to stake a claim of his credentials. On the other hand, usually it’s the race for the top dog of North London in the league, but this season Tottenham already have that in the bag, having surpassed Arsenal mid-way through the season and never looking back. Yet a bigger challenge awaits in being the top club in London, an accolade they haven’t achieved since the beginning of the Premier League. Can the Lilywhites prove they are becoming one of the best clubs in the country with yet another top four finish? Looking at the fixture list for both, it’s going to be quite an end to the season that I’m sure many are looking forward to. Whether you’re a fan of blue or white, it’s going to be a climactic end. Tottenham have had an excellent season so far and had Man City been catchable, they would have very much been in the title race. That being said, all of this will only count if Spurs can continue their highly impressive form. Having lost just three games in the season, Pochettino’s side are currently on an incredible run of 12 games without a defeat, having beaten Arsenal, Manchester United and drawn to Liverpool in those recent fixtures. Such is the quality of results that a lot has to be said for their style of play. 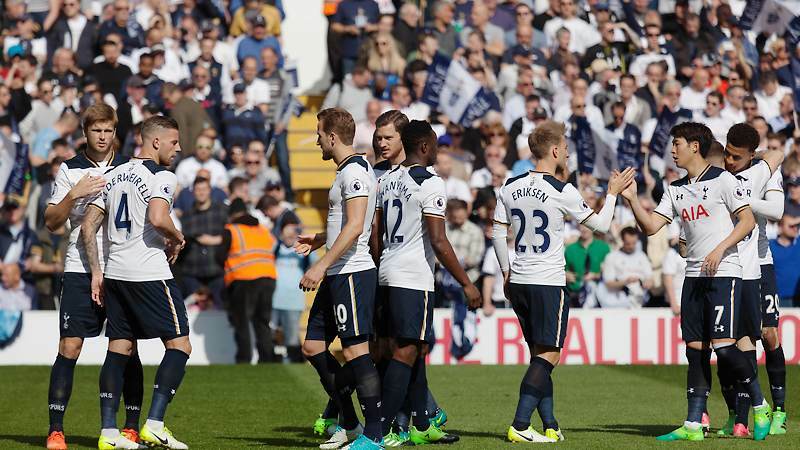 In what is a sturdy back four and a prolific attack in Harry Kane, Pochettino has got plenty of fans excited about their game. In fact, new signing Lucas Moura has already stated how he’s looking forward to the next game. “This year we are very good – we’ve had great games against Manchester United, Arsenal and even against Juventus over the two matches, so I’m sure we can produce a great game against Chelsea also because I think we are very, very talented”, said Moura. A lot has been made of Harry Kane this season as he continues his prolific form and if he stays at the club, you’d think Spurs will definitely land a trophy soon. However it’s not just his play that has caught the eye as Christian Eriksen’s emergence is a joy to watch in midfield as he pulls the strings. Tottenham have really missed having a midfielder that can make something out of nothing in the past but with the Dane in midfield, they are definitely looking better across the whole park. Couple that with Son Heung-Min, who has been excellent in attack this season and maybe Spurs won’t miss Kane as much as fans will think. Indeed playing Chelsea at Stamford Bridge will be the biggest test for Pochettino but he has got a series of fixtures that just might help them pip fourth spot ahead of their rivals, but only if they can pick up points against the Blues and Manchester City. 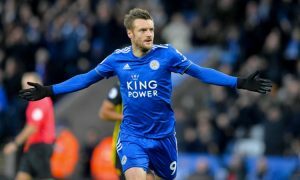 What will then follow are matches against lower opposition, such as Newcastle, Watford, West Brom, Stoke, Brighton and Leicester, all winnable fixtures. I don’t really see anything other than three points in each of those games for Pochettino’s men and with the form they are in, they could aim for higher than fourth. Can Chelsea finish the season on high? Meanwhile, in the Blue side of London, there’s a club that has struggled to live up to the previous year’s success, having looked a shadow of their former selves. In fact, Conte has been under so much pressure that this game against Spurs may be the game that makes or breaks his career, even though personally I believe he deserves another season at the helm. It’s difficult to continue dominating a league, especially when City have looked so formidable but there’s been some hints of their potential. Aside from the opening day defeat to Burnley, Chelsea have had a pretty good start to the season and even though there have been a few blips, they’ve still produced admirable performances, including a 1-0 win over Manchester United and a 2-1 win over Spurs. The problem is however that the consistency hasn’t always been there and in some games the players have looked demotivated. 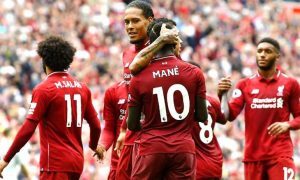 Right now, they are in the midst of despair, having suffered four defeats in their last six games, including poor losses at home to Bournemouth and away to Watford. However, if they can get something at the Bridge against Tottenham, what follows are games against West Ham, Southampton, Huddersfield, Swansea and Newcastle, all matches that should be seeing Conte pick up maximum points. However, there are also games against Liverpool and Burnley which may prove to be tough. Conte’s 3-5-2 playing style revolutionised the club into forming an excellent formation which helped attacking wingbacks Victor Moses and Marcos Alonso excel in aiding the midfield and attack from the wings. With Kante and Fabregas working the midfield, it was easy for someone like Diego Costa to stick them in the back of the net. However, with the Spaniard exiting, it is up to Alvaro Morata and Olivier Giroud to help Eden Hazard in bagging goals, and there’s no doubt they have the talent to do just that. Whether Chelsea keep Conte or not will be highly dependent on where the Blues finish and top four should be of great importance. However, with both sides in the deep end of the FA Cup, it can spell a successful season if they win a trophy. Nevertheless, with the thought of missing out on the Champions League, what will be the priority for Antonio Conte and Mauricio Pochettino? Will star players stay if they cannot play at the very highest level? I can see both Chelsea and Tottenham losing big names if they don’t qualify for European’s best competition. The question is – who will it be? We may find an answer on Sunday.